Dear Fred, Thank you so much for making our wedding so beautiful! We LOVED the bouquets and the setting at the tables were just beautiful! :) I know it was super hot outside- and you were drenched from all the hard work- but we just wanted you to know that your hard work came off beautifully! I called today at the end of your day and asked if there was any way you could deliver a custom arrangement to my daughter who just had surgery. (we are hoping she does not have cancer, but won't know for a while) She is absolutely thrilled with the tropical arrangement you created. Thanks so much for going the extra mile to get it to her today and for treating me with such kindness and understanding on the phone. You have gained at least to new customers. Gratefully, C.W. A note from our answering service: Parents placed an order for her late in the day for same day delivery. Beautiful arrangement. Parents and recipient appreciate the wonderful service that was given. How representative offered suggestions and arranged for late same day delivery. recipient said again that flowers were beautiful. Thank you thank you! Thanks to ASHLEY for going the extra mile with me on the phone. After just a few short seconds, I was prepared to hang up after she told me they closed in 30 minutes. I needed a delivery for a friend at Seton on 38th. She quickly said she could do it before the evening and offered me simple options for a friend needing a Get Well package. THANKS FIESTA FLOWERS AND ASHLEY! The flowers you prepared for delivery to Cook Walden today for the service were fantastic! Thank you for exceeding our expectations with the arrangement and with the very fast service to make the 1:00 services. I look forward to working with you again. S.T. Thanks so much for the beautiful bouquet! C.W. Thanks so much for being able to deliver on my unique request of a plant with the orange gatorade!!! I was told that it was AWESOME!!! You said you would take care of it and you did and I appreciate that very much.....thanks. A.K. Thanks for sending two beautiful arrangements and balloons for my daughters 21st. Worked with Ashley and she did a fantastic job!!! E.A. Customer called and stated outstanding job on order. A.L. Thank you so much- you guys do a gret job-R.H.
Congratulations to Charlotte's Fiesta Flowers for their winning design by wedding consultant/manager Fred Galvan in the"Helping Austin Ice Ball" benefiting Boys and Girls club at the Austin Music Hall. I chose Charlotte's because they were one of the few places in town willing to do silk flower arrangements - a necessity for my planned cruise ship wedding. When Hurricane Ike made moving my wedding here mandatory (2 months before my date!) I was excited to be able to use fresh flowers instead - and even more excited that Fred still had my date open. Fred Galvan was amazing. He was patient and listened to my unusual demands...simple, casual and elegant with naturally occurring blues and greens - nothing dyed and hints of pink and purple in my bridal bouquet only, and touches of starfish. HE completely understood what I wanted. And wow did he deliver! 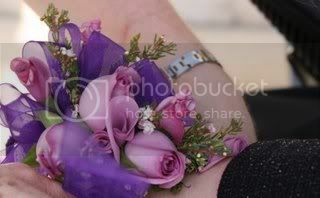 My flowers were breathtaking - I actually cried when I saw how beautiful they were, and exactly what I wanted! Everyone at the wedding commented on how gorgeous and unique my arrangements were. And I can't forget the cake topper! I provided him with a picture of one I liked and he improved upon it. It was the perfect finishing touch for our cake. I wish I could include pictures in this review! I can't say enough about Fred and the staff at Charlotte's Fiesta Flowers. They helped to make my wedding the most beautiful day of my life. "Fred, thanks for the beautiful exotic flowers that you provided for us for the nurses' banquet. They were just perfect. We enjoyed working with you. Thanks for all your help." D.V. "Thank you for the beautiful flowers! We appreciate your supreme service!" M.W. "Thank you for the beautiful tropical arrangement you sent to the office for me! It was gorgeous!! Everyone wanted your name and phone number and I enjoyed giving it out! Thanks again for the excellent service you provide!" Y. F.
"Charlottte, thank you so much! Once again you've helped me make another event for my daughter quite special". A.B. "Y'all delivered flowers to my wife today on our 25th wedding anniversary. I'm out of the country and placed the order online. She was delighted with them! And the delivery time was perfect. Thank you! I'll definitely be a repeat customer." M.R. "Charlotte, Thanks so much! The flowers were beautiful...per my brother who usually does not even notice flowers! Thanks!! 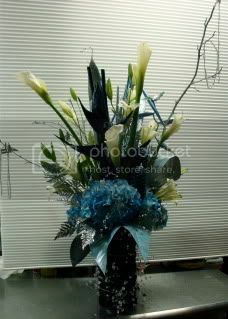 S.
"Hi Charlotte, Fred did an amazing job on my sister's flowers! She loved them and they were just her style. When her husband took them to the car, he said 23 people stopped him to compliment the flowers. Thank you as always! C.
"To our friends at Charlotte's Fiesta Flowers~Thank you for the plant you sent to the funeral. The Casket Spray you prepared was so beautiful and it looked good after it traveled from Austin to Seagonville for the graveside service." K.G. "Just wanted to let you know just how beautiful and fresh your flowers were and still are. My Son and Daughter-in-law had them delivered to my place of work on Monday. They are just as fresh looking today as they were then. Thanks and keep up the great work." C.M. "Dear Charlotte and Staff, Thank you so much for the beautiful flowers. It is a pleasure working with you. Thank you for your exceptional customer service." P.T. "I have just been helped by the nicest young lady. I believe her name is Ashley. After calling several florists and getting ‘we’re closed’ messages, I was saved by Ashley. I needed flowers for a funeral tomorrow, the 15th at 1:00 PM. Ashley agreed to deliver them herself. What a girl! Thank you!"